Ever wanted a tool that can migrate any database? 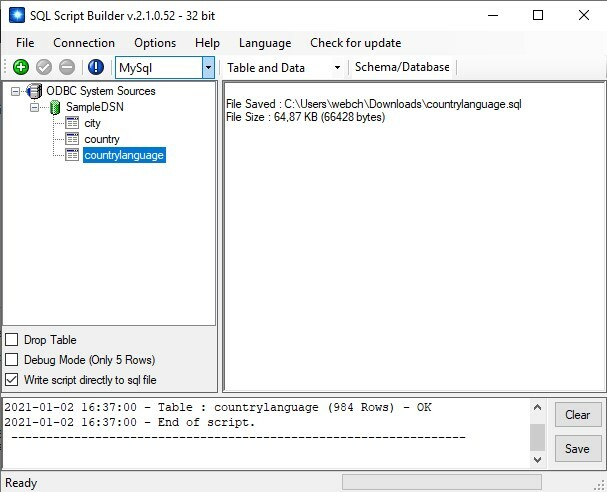 SQL Script Builder is powerful free software that can create a database migration sql script (or dump file) or database files from any ODBC supported database. The script produced will migrate the database (multiple tables selection) or only one table and the records. Scripts are available in 5 output formats ; MySql, MS SQL, Oracle, Pervasive and PostgreSQL , and files comes in Access mdb, Excel csv, MS xml. SQL Script Builder is very simple to use, you just have to choose the database and the table from the list. SQL Script Builder scripts can be used on your DBMS (database management system) or uploaded on a server. 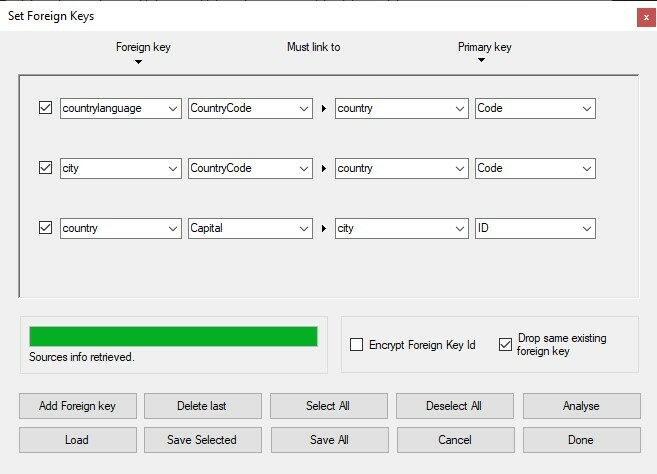 SQL Script Builder can be used for example for database migration from your Access database to MySql database, or MySql database migration to MS SQL database and vice versa. You don't have to migrate all database, you can if you wish only migrate one table at a time. There's no limits, all you need is the ODBC driver for the database you wish to migrate from. ODBC is a universal interface, almost every database provider support it. There's may be others tools that can migrate your database, without the use of SQL language, but these may not establish a successful connection between databases because of versions compatibility. With SQL Script Builder once you have established your source ODBC connection and generated the script, you can be sure this script will work on the destination database because the scripts are universal. An other great thing to consider is that SQL scripts can also constitute a backup file of your database. Congrats on an awesome time saving tool! Thanks a lot Dave. And thanks for the great utility! Love the product! Y'all have done an amazing job! 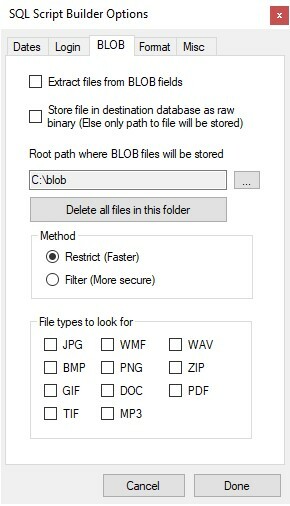 Writing to the file directly is a great improvement. It is now a matter of seconds before the complete database is processed!